Home / politics / Fayose Describes Goodluck Jonathan As "A Man Whose Sweat Watered The Democracy"
Fayose Describes Goodluck Jonathan As "A Man Whose Sweat Watered The Democracy"
Former governor of Ekiti State, Ayo Fayose has described ex president Goodluck Jonathan as 'a man whose sweat watered the democracy that they are now trying to kill'. 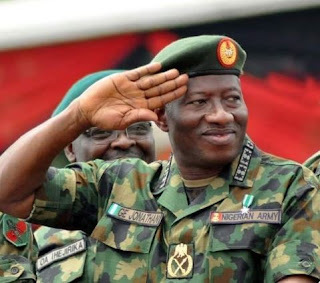 "In his 61st birthday message to Jonathan, he wrote, 'to the man who saw the interest of Nigeria and its people as greater than his own, a man whose sweat watered the democracy that they are now trying to kill, a great patriot and democrat, Happy Birthday. Dr. Goodluck Jonathan, may the good Lord continue to strengthen you for us'.